Moda Black is back with a new EP from hot contemporary house talent Alexis Raphael, who went from the pirate radio scene of the late '90s and early '00s to securing a release on Jamie Jones and Lee Foss' Hot Waves imprint back in 2011. 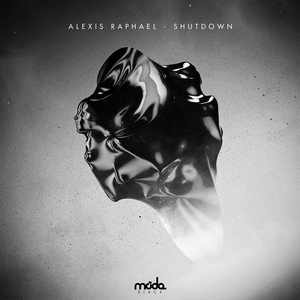 Shutdown is his debut single on Moda Black, featuring a title track which takes the form of a full-blooded main room house tune with razor sharp hi hats, inviting bass that drops in and out at pleasing intervals and plenty of other stylistic flourish from classic Loon bird calls to reverse synth stabs and ravey vocals. It's beefy, chunky and demands to be danced to. "Exclusive" meanwhile is a little more heads down, a deeper cut with rolling drums, chilly, ticking percussion and curious bassline that nimbly works its way in and out of the arrangement.